Scientists at Linköping University have developed a new method to produce hydrated materials, hydrogels, that have properties similar to the natural environment of cells in the body. They describe in an article in Biofabrication how to adapt the material to the various requirements of difficult-to-culture cell types, and to produce organ-like structures on a microchip. Cells cultured in the lab have many applications, one of which is to test whether various new substances harm the cells. A rapidly growing technique known as organ-on-a-chip involves culturing cells from human organs on small chips with a supply of oxygen and nutrients. Scientists are attempting to develop models of increasing complexity that simulate the way in which tissue or complete organs function in the body. Such models can be used in many areas of medical research, such as testing potential medicines, and may, in the long term, replace some animal experiments. It is, however, not easy to culture human cells. They often have very specific requirements, and die easily. In the body, the cells are surrounded by a supporting structure known as a matrix. This is a type of hydrated gel, and consists mainly of proteins and carbohydrates. The environment of the cells differs from one tissue type to another, and has a major effect on cell function. Researchers at Linköping University are developing soft materials that imitate more closely the natural surroundings of cells in the body, for use in cell culture. “Our new material allows the properties to be adapted across a wide range. New functionalities, such as small protein fragments that the cells need, can be incorporated, such that even picky cells can replicate and function”, says Daniel Aili, who, together with Carl-Fredrik Mandenius, has led the study. Both work in the Department of Physics, Chemistry and Biology at Linköping University. The material consists of two components that are mixed in water, together with living cells. A chemical reaction takes place that causes the components to form a hydrated gel, a hydrogel, similar to the naturally occurring matrix. This chemical reaction takes place spontaneously and does not affect the cells. The scientists have carried out extensive tests of the hydrogel properties and compared it with other commonly used materials. “We can adapt the mechanical properties of the hydrogel within a wide range. We can also control the speed of formation of the gel: it’s important that it doesn’t occur too rapidly or too slowly”, says Daniel Aili. The liver is important in the testing of new pharmaceutical substances, since the liver processes many of the drugs that we take. For this reason, the researchers have tested using the hydrogel to create a human liver-on-a-chip, using liver cells derived in culture from stem cells. The research team were able to adapt the material such that even these rather demanding cells could proliferate and function. 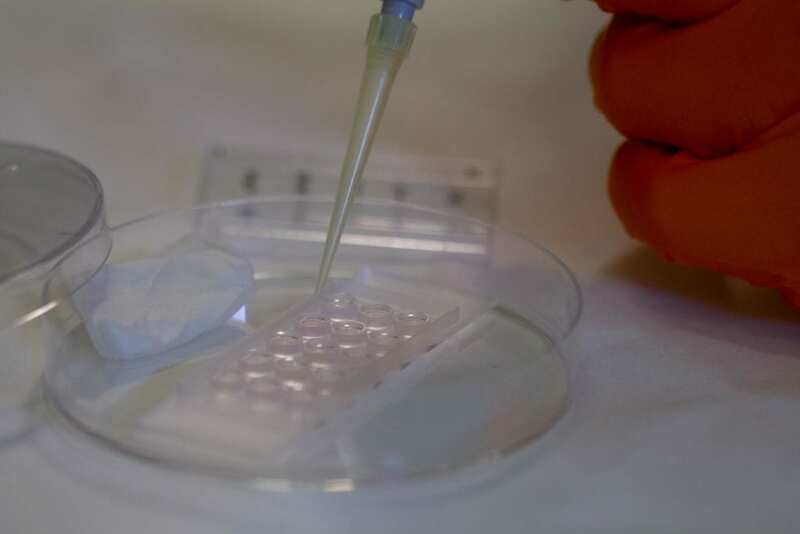 In its basic configuration, the hydrogel does not contain proteins, but the researchers included in the material a synthetic fragment of an important protein found in the tissue that surrounds the human liver. When they added this protein-mimicking component to the hydrogel, the liver cells on the chip started to produce albumin, just as the liver does in the body. “The principal significance of our material may be in the development of useful models of the liver, which can be used to simplify the early stages of drug development. Our hydrogel is extremely interesting for anyone who wants to have control of the contents of the material in which the cells are cultured. And it’s easy to adapt to different types of cell and tissue”, says Daniel Aili. The research has received financial support from the EU Innovative Medicines Initiative Joint Undertaking, the Swedish Research Council, the Swedish Foundation for Strategic Research (SFF), the Carl Trygger Foundation, the Knut and Alice Wallenberg Foundation, the Swedish Government Strategic Research Area in Materials Science on Functional Materials at Linköping University.